The geek inside me has a tendency to love and appreciate any and all organizational products, but when there are beautiful containers specifically for organizing the food in my fridge? Game. Over. 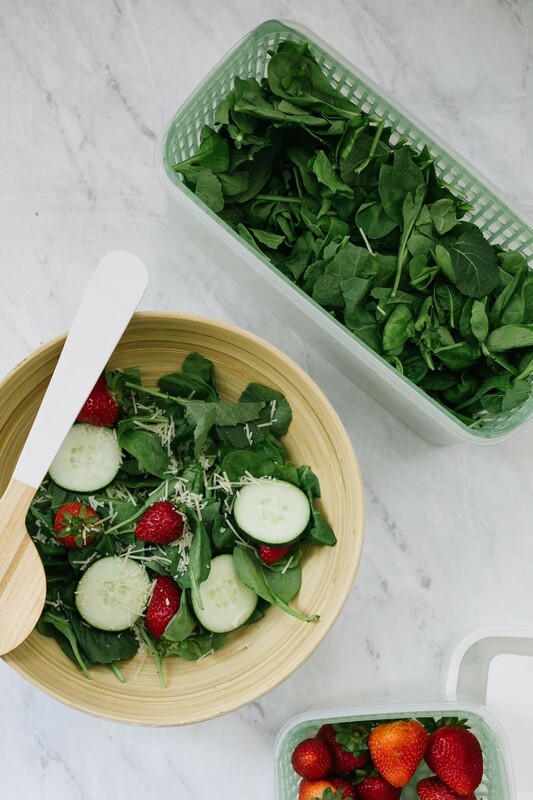 I had no idea that properly storing your food can help it last longer. 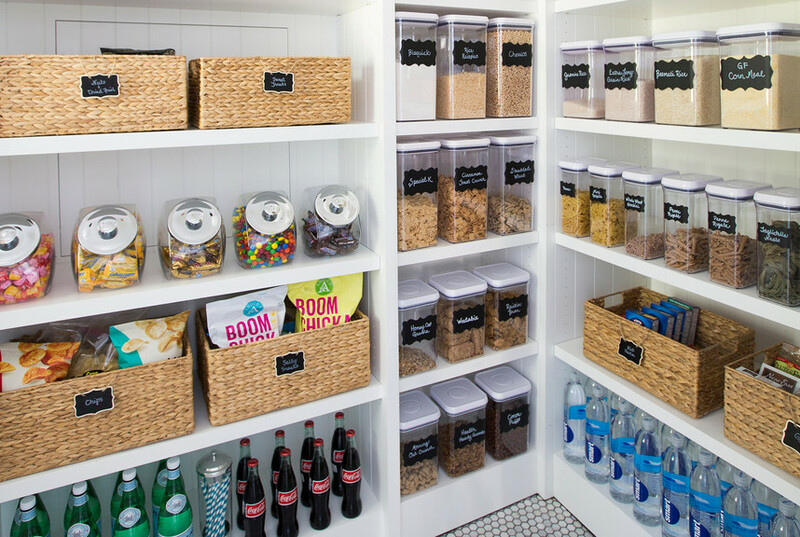 Did you see my pantry makeover that I did earlier this year? It was a night and day difference and I learned so much. Before "project pantry" commenced I didn't know that using the right containers would save me so much space, I honestly thought I was already doing a good job. 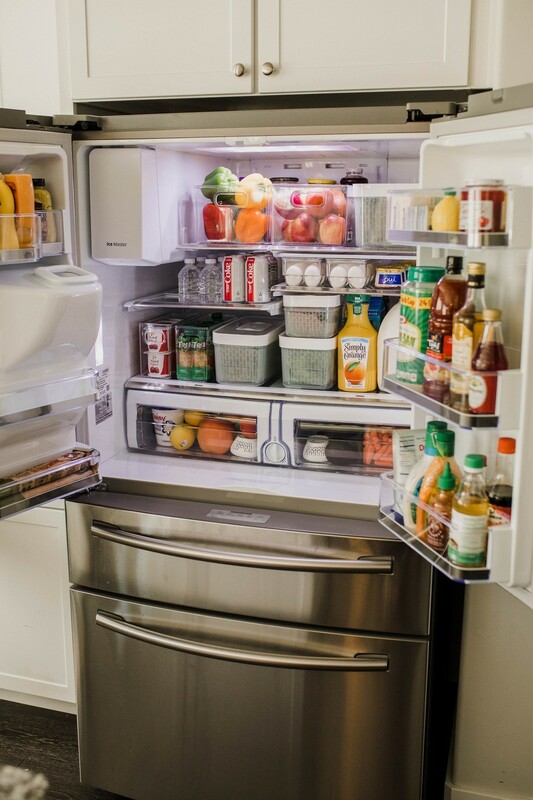 But when I discovered The Container Store has products for the good ole fridge, the foodie loving girl inside me had to jump in with both feet, and put their products to the test. 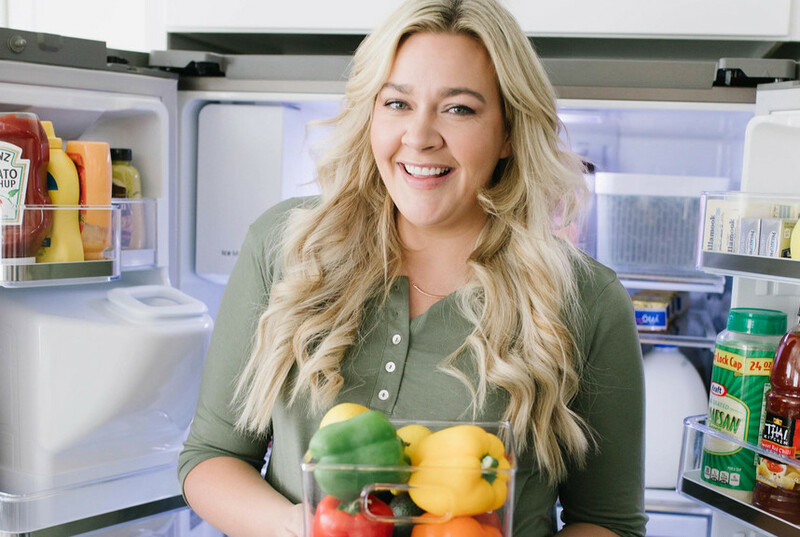 We are big on eating fresh and healthy foods in our household and need to get the most out of all of the produce we buy regularly. There's nothing more frustrating than spending money on new berries and lettuce, just to have them turn moldy or wilt a few days later. You can relate, right? The good news is...The Container Store wins again! 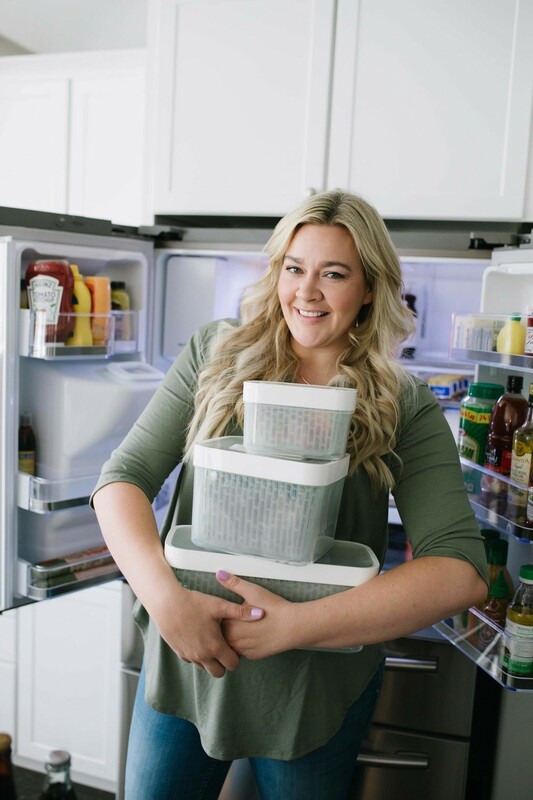 Not only do they have all the amazing solutions to make your little organizing heart really skip a beat, but they also offer a ton of products that store your food beautifully and are designed to keep it fresh longer. 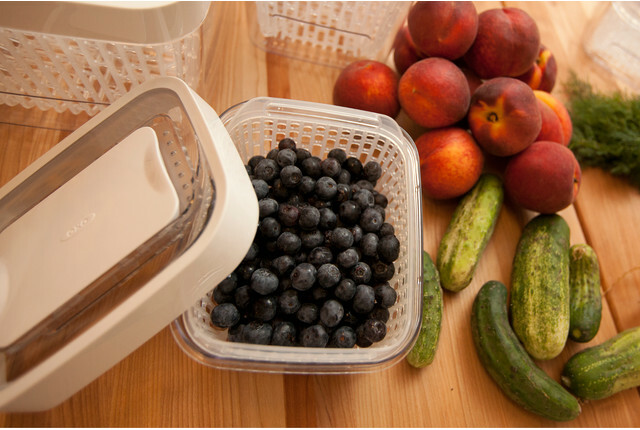 I found these OXO greensaver Produce Keepers have kept our produce nice and crisp, plus I love the design of the actual container! 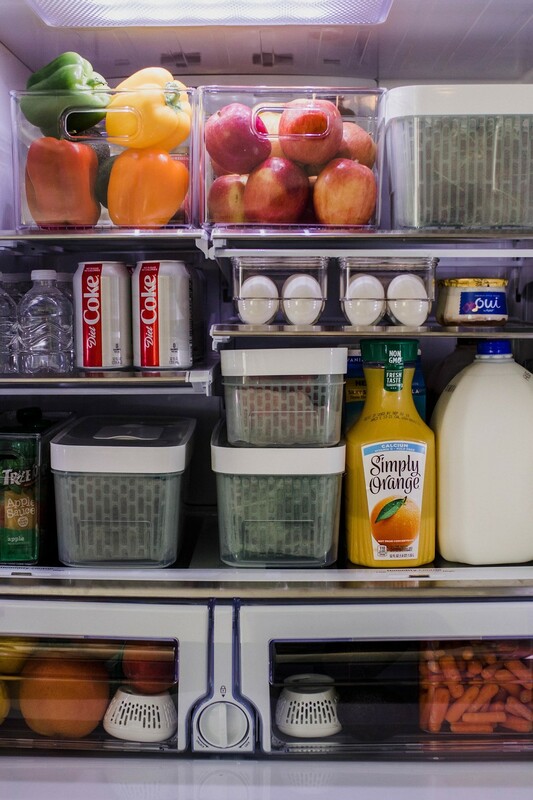 Another solution that's been great to keep in my produce drawers are these OXO greensaver Round Crisper Inserts as they help absorb the ethylene gas that fruits and vegetables naturally release, keeping them fresher, longer. Using these two products has helped our produce last so much longer, which has saved us money AND we've been able to cut back on waste. 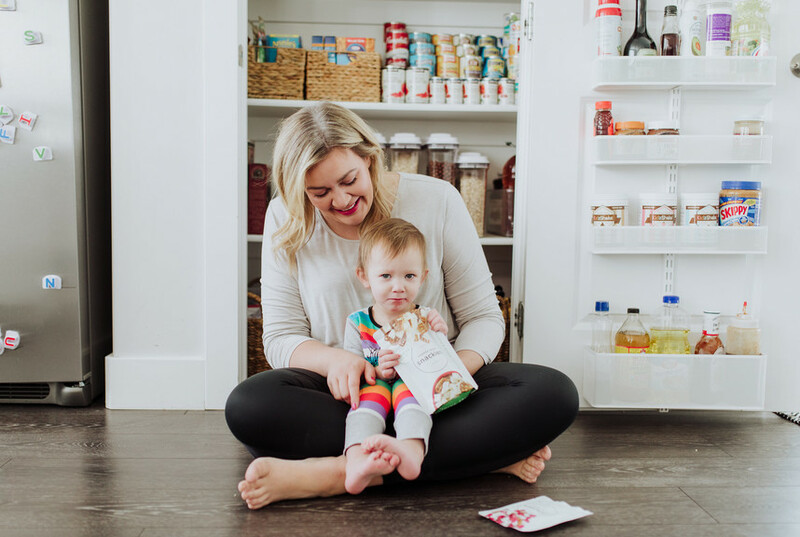 I've loved using the OXO Smart Seal Glass Food Storage Set too. Not only is the set stackable and helps to save on space in the fridge, but they make reheating meals so easy. They're made from shatter-resistant glass and can go from my freezer straight into the oven without needing to thaw first. 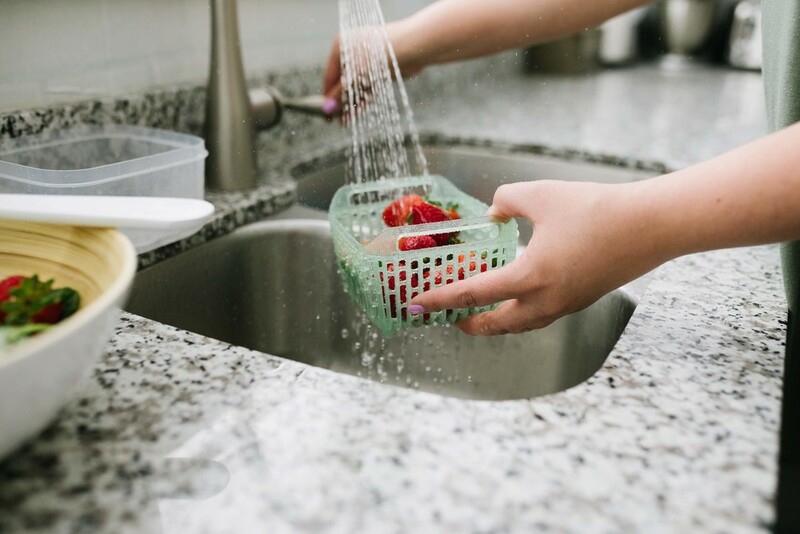 I love that I don't have to worry about changing or dirtying more dishes...talk about convenient! I am so grateful to have the opportunity to collaborate with The Container Store on this project. If you are like me and love fresh food, I am happy to put my stamp of approval on their products.